Coral reef garden project in Fujairah, a state on the east coast of UAE. This project is aiming to cultivate 1.5 million coral reef colonies in the next five years. UAE is known for doing things in a larger way. Similarly, this is the largest known project of reef garden. This garden is massive and can be compared to 60 football stadiums together. 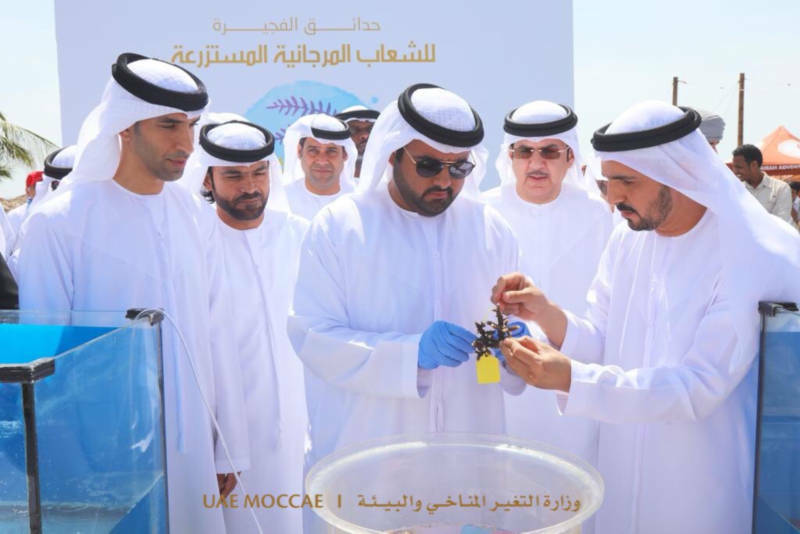 Dr Thani Bin Ahmad Al Zeyoudi, Minister of Climate Change and Environment, said the project, will significantly boost the sustainability of fish stocks, safeguarding food diversity and food security in the country. Ministry will also organize several specialized workshops for young volunteers to offer insights on the cultivation of coral reefs and their sustainability. Hassan Salem Al Yammahi, the director of Dibba Fujairah Municipality, said: “Under the leadership of His Highness Shaikh Hamad Bin Mohammad Al Sharqi, Ruler of Fujairah and Member of the Supreme Council, the Fujairah government has made sustainable development and preservation of our marine environment for future generations a top priority. Coral reef garden of this magnitude would definitely bring some change to the table. If the said works out in the said manner this coral reef garden would be one of the biggest man-made coral reef garden known.